Have you thought about securing a Gaeta holiday package? It's simple with Expedia, and you'll be able to buy a few nice dinners or gifts for your friends back home with the cash you save. With more than 400 partner airlines and 321,000 properties worldwide for you to pick from on our expansive database, you'll be setting off on your holiday in no time! If you have to change your travel plans, we will honour your cancellation request on almost all bookings with no hidden fees. We've got all the sizzling hot sightseeing tips for your upcoming trip to Gaeta. Grab your travel planner and prepare to start working on that itinerary. Check the Sunday Mass times at Duomo di Gaeta. While you're here, why not take a minute to bow your head and indulge in some quiet meditation. Visitors in this destination have heaps of options. Looking for some peace and tranquility? 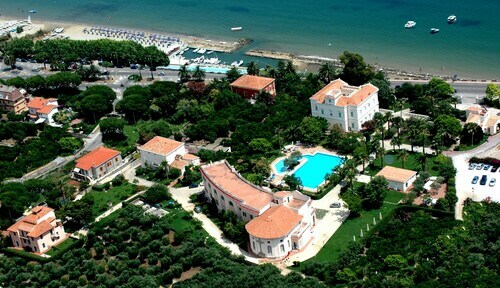 You'll find your chance at Monte Orlando as you stand poised on the headland and take in the endless ocean. Still got time to spare? Are you in the mood for a picturesque afternoon at the seaside? Pack a picnic chair and find the best spot to admire a stunning ocean sunset at Serapo Beach. With around 18 properties at your fingertips, you won't have any troubles finding a great place to stay. 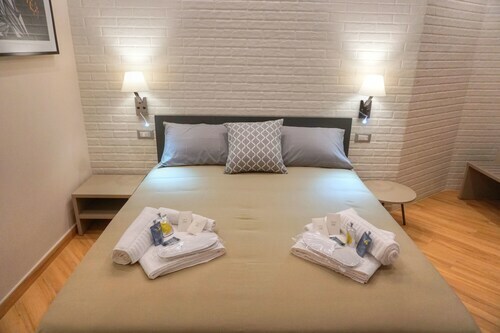 Reserve a bed for your next cheap holiday or luxury getaway via Expedia and enjoy a good night's shut-eye in Gaeta. 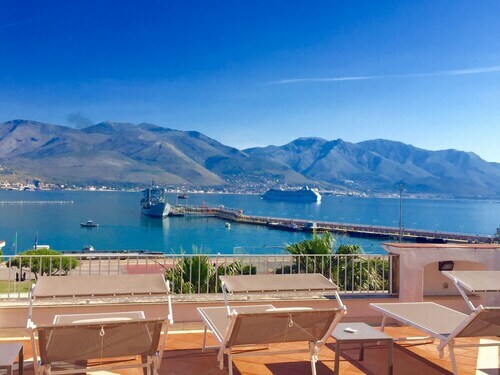 Start your search for a dreamy Gaeta base by investigating the latest deals at the Summit Hotel (Via Flacca Km 23) and the Villa Irlanda Grand Hotel (Via Lungomare Caboto, 6). If you don't really like handing over such big bucks, why not spend your nights somewhere more affordable? 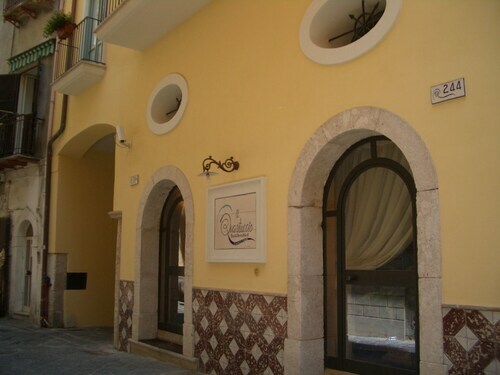 Take a look at the Il Quartuccio (Via Indipendenza 244-246) or the Hotel Villaggio Torre San Vito (Via Flacca Km 22.150). Get through security, amble onboard, check your boarding pass for your allocated seat and make yourself comfortable! Your exciting trip to Gaeta isn't far off now. When you touch down at Naples International Airport (NAP), you'll be approximately 45 miles (72 km) from the centre of downtown. 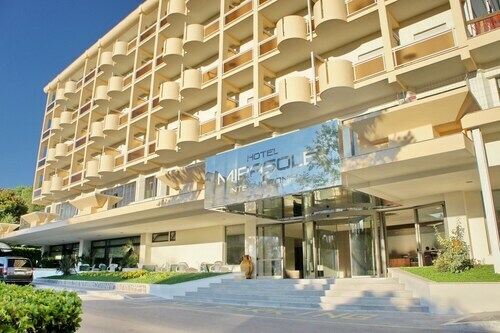 Situated on the waterfront, this hotel is within 3 miles (5 km) of Port of Formia, Serapo Beach and Parco Regionale Riviera di Ulisse. Monte Orlando and Turk's Cave are also within 6 miles (10 km). 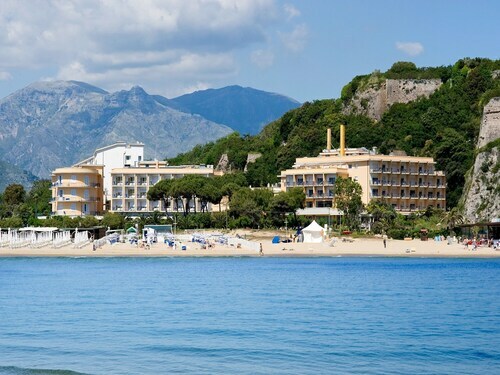 Nestled on the beach, this Gaeta hotel is within a 15-minute walk of Serapo Beach and Parco Regionale Riviera di Ulisse. Turk's Cave and Gulf of Gaeta are also within 1 mile (2 km). Located in the heart of Gaeta, this hotel is within a 15-minute walk of Serapo Beach and Parco Regionale Riviera di Ulisse. Turk's Cave and Gulf of Gaeta are also within 1 mile (2 km). 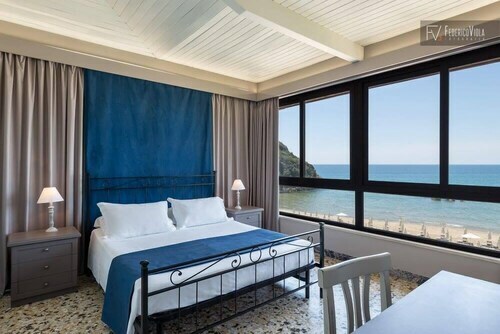 Nestled on the beach, this Gaeta hotel is within 3 mi (5 km) of Serapo Beach, Parco Regionale Riviera di Ulisse and Turk's Cave. Duomo di Gaeta and Torre Truglia are also within 9 mi (15 km). This family-friendly Gaeta hotel is located in the historical district, within a 15-minute walk of Parco Regionale Riviera di Ulisse and Duomo di Gaeta. Serapo Beach and Turk's Cave are also within 1 mile (2 km). Situated in Gaeta, this bed & breakfast is within a 10-minute walk of Ariana Beach and Gulf of Gaeta. Serapo Beach and Arenauta Beach are also within 1 mile (2 km). Situated in Gaeta, this townhouse accommodation is within 1 mile (2 km) of Serapo Beach and Parco Regionale Riviera di Ulisse. Turk's Cave and Duomo di Gaeta are also within 2 miles (3 km). Located in the heart of Gaeta, this bed & breakfast is within a 15-minute walk of Serapo Beach and Parco Regionale Riviera di Ulisse. Turk's Cave and Duomo di Gaeta are also within 1 mile (2 km).